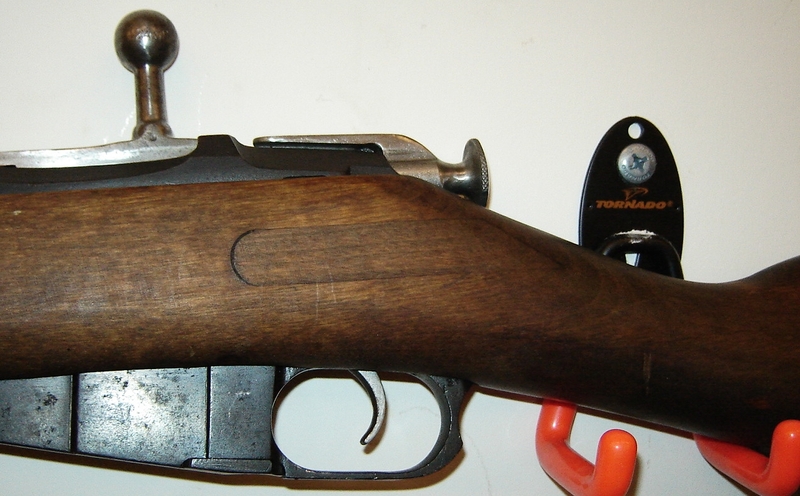 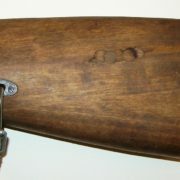 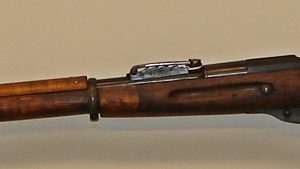 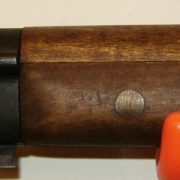 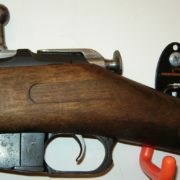 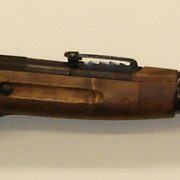 1935 Finnish Tikka M27 Finn matched (bolt and barrel) small import mark under barrel. 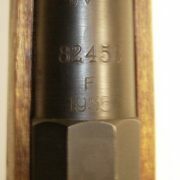 The metal finish rates at 90% with some graying on high spots and scratches. 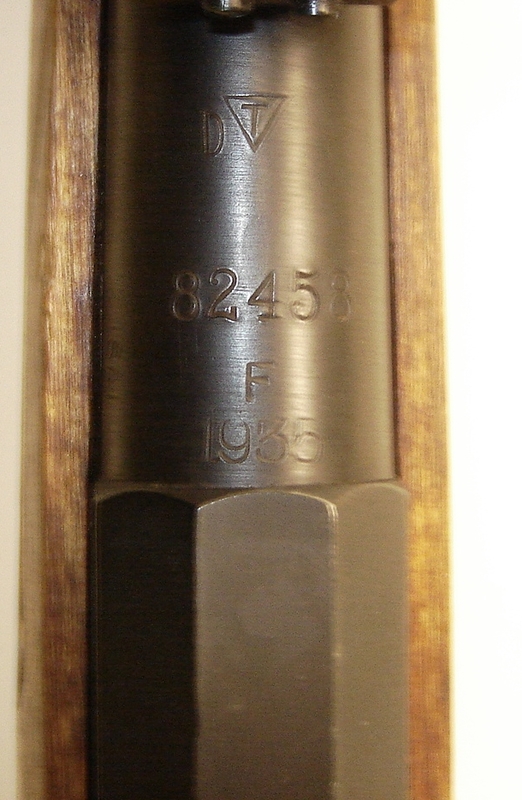 Barrel is boxed SA,D, and F marked. 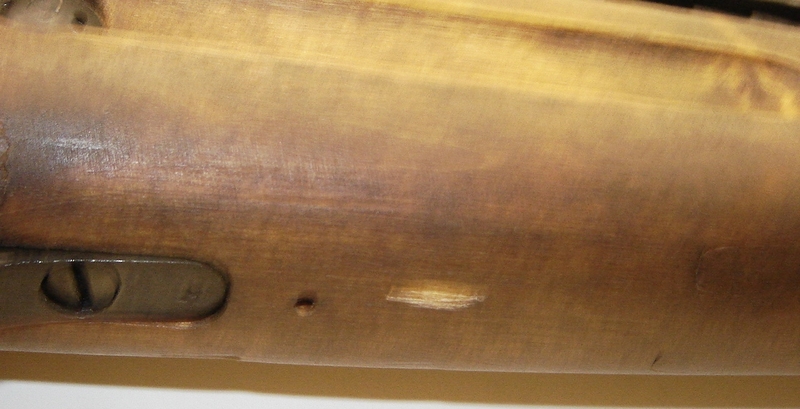 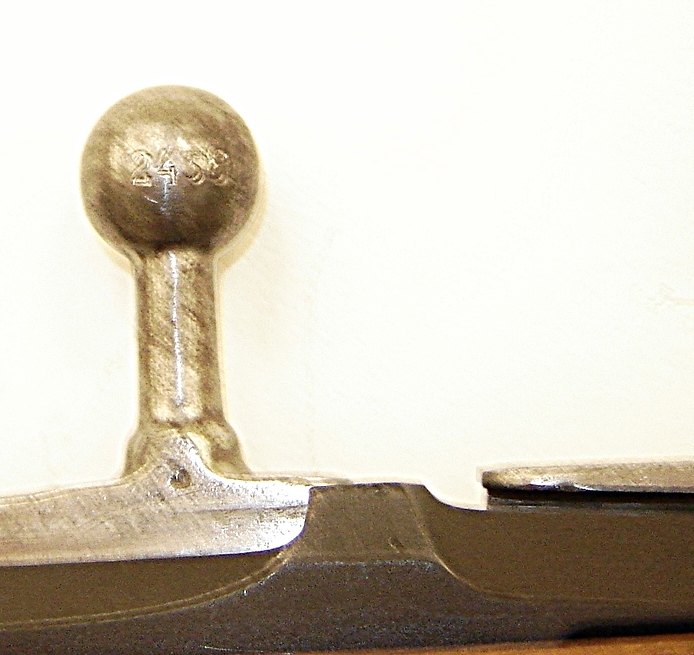 Stock is a two piece rounded finger joint, with screwed in sling escutcheons, in excellent condition with a few very minor compressions, and one slight gouge by the magazine cut out .There are numerous Finnish stock plugs and repairs evident that are all solid. 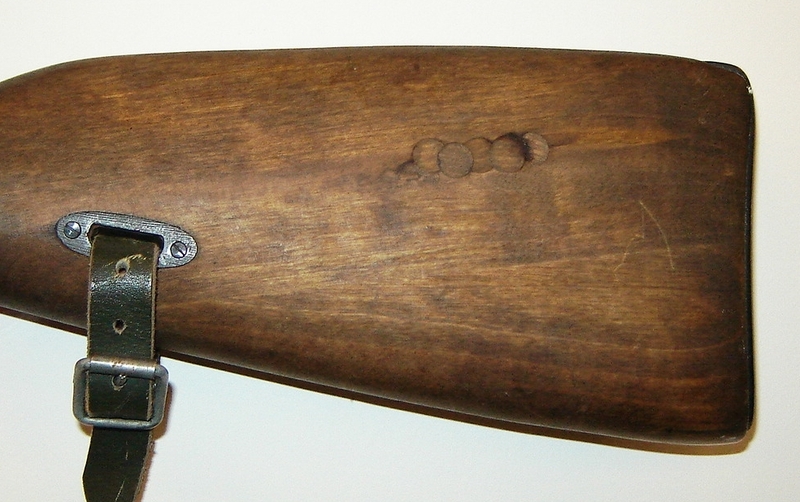 This has a two piece hinged early nose cap.The rear barrel band screw is stripped. 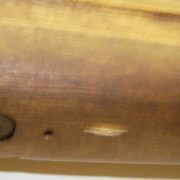 Bore is mirror bright with some wear evident in the lands and grooves. 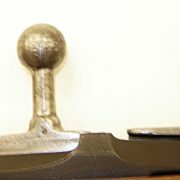 Dog collar sling hangers are present as well as the cleaning rod.